This article is about the year 1901. For the song by Phoenix, see 1901 (song). For the novel by Robert Conroy, see 1901 (novel). 1901 (MCMI) was a common year starting on Tuesday (link will display calendar) of the Gregorian calendar and a common year starting on Monday of the 13-day-slower Julian calendar. It was also the first year of the 20th century. January 1: The Commonwealth of Australia forms as British colonies federate. The world celebrates the beginning of the 20th century. The British colonies of New South Wales, Queensland, South Australia, Tasmania, Victoria and Western Australia federate as the Commonwealth of Australia. Edmund Barton becomes first Prime Minister. Nigeria becomes a British protectorate. The birth of Pentecostalism at a prayer meeting at Bethel Bible College in Topeka, Kansas. January 5 – Typhoid fever breaks out in a Seattle jail, the first of two typhoid outbreaks in the USA during the year. January 7 – Alferd Packer is released from prison after serving 18 years for cannibalism. January 10 – In the first great Texas gusher, oil is discovered at Spindletop in Beaumont, Texas. Queen Victoria of the United Kingdom dies at age 81, after more than 63 years on the throne, and her son the Prince of Wales formally succeeds her as King Edward VII. The Grand Opera House in Cincinnati is destroyed in a fire. January 28 – Baseball's American League declares itself a Major League. January 22: King Edward VII ascends the British throne and also becomes Emperor of India. February 2 – Funeral of Queen Victoria in London. In Evansville, IN, a fire burns through the business district, causing $175,000 of damage. February 15 – The Alianza Lima Foundation is created in Peru. February 20 – The Hawaii Territory Legislature convenes for the first time. March 1 – United Kingdom, Germany and Japan protest at Sino-Russian agreement on Manchuria. March 2 – The U.S. Congress passes the Platt Amendment, limiting the autonomy of Cuba as a condition for the withdrawal of American troops. March 4 – United States President William McKinley begins his second term. Theodore Roosevelt becomes Vice President of the United States. March 5 – Irish nationalist demonstrators ejected by police from House of Commons of the United Kingdom in London. March 11 – United Kingdom rejects amended Hay-Pauncefote treaty. March 13 – Benjamin Harrison, 23rd president of the United States, dies of pneumonia at age 67. A showing of 71 Vincent van Gogh paintings in Paris, 11 years after his death, creates a sensation. Student riots in St Petersburg and Moscow. March 18 – Patrick Donahoe, businessman and publisher of the Catholic newspaper the Boston Pilot, dies of old age at 90. March 31 – The United Kingdom Census 1901 is taken. 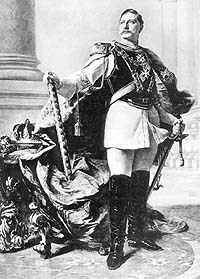 March 6: Kaiser Wilhelm II of Germany survives an assassination attempt. April 25 – New York State becomes the first to require automobile license plates. April 29 – Anti-Jewish rioting breaks out in Budapest. May 3 – The Great Fire of 1901 begins in Jacksonville, FL. May 5 – The Caste War of Yucatán officially ends, although Mayan skirmishers continue sporadic fighting for another decade. May 9 – Australia opens its first parliament in Melbourne. May 17 – The U.S. stock market crashes. May 24 – 78 miners die in the Caerphilly pit disaster in South Wales. May 25 – The Club Atlético River Plate is founded in Argentina. May 27 – In New Jersey, the Edison Storage Battery Company is founded. May 28 – Iran (known as Persia until 1935) grants William Knox D'Arcy a concession, giving him the right to prospect for oil. June 2 – Katsura Taro becomes Prime Minister of Japan. June 12 – Cuba becomes a U.S. protectorate. June 12: Cuba becomes a United States protectorate. July 1 – Bureau of Chemistry within Department of Agriculture. July 4 – The 1,282 foot (390 m) covered bridge crossing the St. John River at Hartland, New Brunswick, Canada opens. It is the longest covered bridge in the world. July 24 – O. Henry is released from prison in Columbus, Ohio after serving 3 years for embezzlement from the First National Bank in Austin, Texas. Silliman University is the first American private school in the Philippines. August 5 – Peter O'Connor sets the first International Association of Athletics Federations recognised long jump world record of 24 ft 11¾ins. The record will stand for 20 years. August 6 – Discovery Expedition: Robert Falcon Scott sets sail on the RRS Discovery to explore the Ross Sea in Antarctica. August 28 – Silliman University is founded in the Philippines. The first American private school in the country. August 30 – Hubert Cecil Booth patents an electric vacuum cleaner. September 7: The Boxer Rebellion in China ends with the signing of the Peking Protocol. 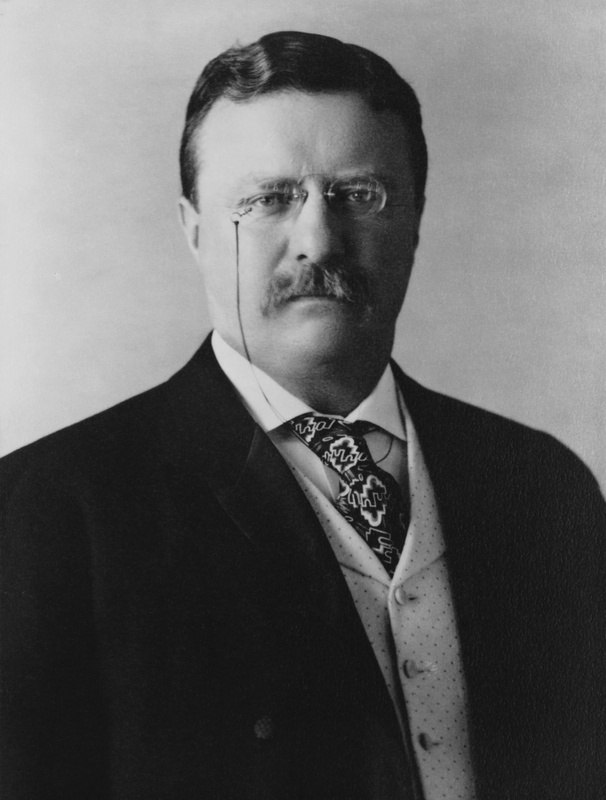 September 14: Theodore Roosevelt becomes President of the United States on the death of William McKinley. September 2 – U.S. Vice President Theodore Roosevelt utters the famous phrase, "Speak softly and carry a big stick" at the Minnesota State Fair. September 5 – The National Association of Professional Baseball Leagues (later renamed Minor League Baseball), is formed in Chicago. September 6 – American anarchist Leon Czolgosz shoots U.S. President William McKinley at the Pan-American Exposition in Buffalo, New York. McKinley dies 8 days later. September 7 – The Boxer Rebellion in China officially ends with the signing of the Boxer Protocol. September 14 – Theodore Roosevelt succeeds William McKinley as President of the United States. September 26 – The body of U.S. President Abraham Lincoln is exhumed and reinterred in concrete several feet thick. October 2 – The Royal Navy's first submarine is launched at Barrow. October 4 – The American yacht Columbia defeats the Irish Shamrock in the America's Cup yachting race. October 16 – U.S. President Theodore Roosevelt invites African American leader Booker T. Washington to the White House. The American South reacts angrily to the visit, and racial violence increases in the region. October 23 – Yale University celebrates its bicentennial. October 24 – Michigan schoolteacher Annie Taylor goes down Niagara Falls in a barrel and survives. October 29 – In Amherst, New Hampshire, nurse Jane Toppan is arrested for murdering the Davis family of Boston with an overdose of morphine. November 1 – Sigma Phi Epsilon is founded in Richmond, VA.
November 9 – The Prince George, Duke of Cornwall (later George V) becomes Prince of Wales and Earl of Chester. November 15 – The Alpha Sigma Alpha Fraternity is founded at Longwood University. November 25 – Auguste Deter is first examined by German psychiatrist Dr Alois Alzheimer, leading to a diagnosis of the condition that will carry his name. November 28 – The new state constitution of Alabama requires voters to have passed literacy tests. December 3 – U.S. President Theodore Roosevelt delivers a 20,000-word speech to the House of Representatives asking Congress to curb the power of trusts "within reasonable limits". December 10 – The first Nobel Prize ceremony is held in Stockholm on the fifth anniversary of Alfred Nobel's death. December 12 – Guglielmo Marconi receives the first trans-Atlantic radio signal, sent from Poldhu in England to Newfoundland, Canada; it is the letter "S" in Morse. December 20 – The final spike is driven into the Mombasa-Victoria-Uganda Railway in what is now Kisumu, Kenya. Scotland Yard creates a fingerprint archive. Europium is isolated by Eugène-Anatole Demarçay. William S. Harley draws up plans for his first prototype motorcycle. The okapi is observed for the first time (previously known only to local natives). The Independent Maya of Eastern Yucatán surrender to Mexico. The Intercollegiate Prohibition Association is established in Chicago. Shō Tai (Shang Tai), the last king of the Ryūkyū Kingdom in modern Okinawa, Japan, dies. New Zealand inventor Ernest Godward invents the spiral hairpin, one of the most widely used devices on the planet. The first reliable census in India is taken. RMS Lucania is the first Cunard ship to receive a Wireless Radio set. Manfred Aschner, German-born Israeli microbiologist and entomologist, recipient of the Israel Prize (died 1989). The date of Friday December 13 20:45:52 1901 is significant for modern computers because it is the earliest date representable with a signed 32-bit integer on systems that reference time in seconds since the Unix epoch. This corresponds to -2147483648 seconds from Thursday January 1 00:00:00 1970. For the same reason, many computers are also unable to represent an earlier date. For related reasons, many computer systems suffer from the Year 2038 problem. This is when the positive number of seconds since 1970 exceeds 2147483647 (01111111 11111111 11111111 11111111 in binary) and wraps to -2147483648. Hence the computer system erroneously displays or operates on the time Friday December 13 20:45:52 1901. In this way, the year 1900 is to the Year 2000 problem as is the year 1901 to the Year 2038 problem. ^ "NHI Resolution No.7, Series 2002". National Historical Institute. Retrieved 2010-03-30. ^ "Alois Alzheimer". Whonamedit?. http://www.whonamedit.com/doctor.cfm/177.html. Retrieved 2011-10-21. ^ Bussey, Gordon (2000). Marconi's Atlantic Leap. Coventry: Marconi. ISBN 0-9538967-0-6. This page uses content from the English language Wikipedia. The original content was at 1901. The list of authors can be seen in the page history. As with this Familypedia wiki, the content of Wikipedia is available under the Creative Commons License. 220 people were married in 1901. There were 0 military battles in 1901.